The nation’s oldest UCI race, now known as the Verge Northampton International Cyclocross, brought some great racing and top talent to Northampton this past weekend. Yesterday we brought you Day 1 of DirtWire’s video highlights, and today we have Day 2 of the racing action, including suspenseful finishes between Jeremy Powers and Curtis White in the men’s race, and Emma White and Ellen Noble in the women’s race. 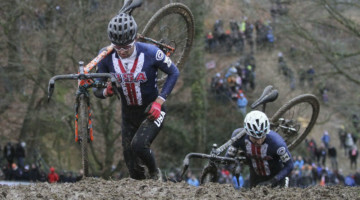 Take a break to enjoy some brief cyclocross action with the videos below. See full race results from the Verge Northampton International Cyclocross Day 2 here.